You can do divination anywhere with what you can find around the house or wherever you are. 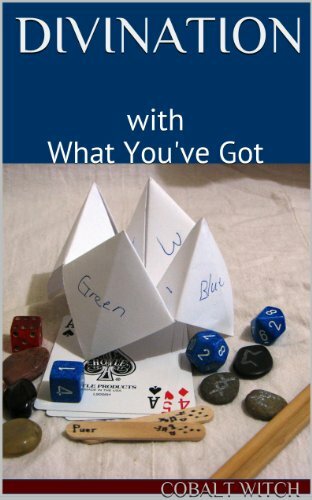 This book describes divination methods using dice, playing cards, sticks and stones, and paper and pencil to find the answers to your questions. It also includes instructions for numerology, geomancy, and runes. No need for fancy equipment — you can do Divination with What You’ve Got!